than any other borough in New York City. And in the middle of it all sits beautiful Prospect Park, which has the unique feel of an English Common at times: far away from the crowds; the perfect place to spend a lazy afternoon in the sun. 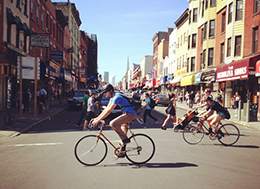 The only way to really experience and get the best from Brooklyn is to walk or cycle its streets. Soak up the diversity, the different neighborhoods and the feeling of being part of a big community. 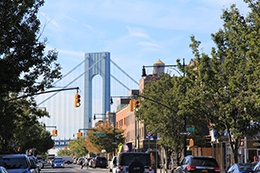 Located in the south-west of Brooklyn, Bay Ridge is a largely middle-class area, and with a strong family presence. Until the 1900s, it was composed of primarily Irish, Italian and Norwegian. Nowadays, it maintains a sizable Irish, Italian and Greek population. Although you will also see Russian, Polish, Chinese and Lebanese too. So there are many International restaurants and bars, especially along 3rd and 5th avenues, which are its main commercial strips. Bedford–Stuyvesant, also known as Bed-Stuy for short, is a neighborhood of 153,000 inhabitants in the north central portion of Brooklyn. Recently, the neighborhood has seen substantial change as young professionals and artists are moving in and new restaurants, bars and businesses crop up to cater to them. You can find a selection of stores, bars and restaurants on avenues such as Lewis, Bedford and Marcus Garvey. It’s a diverse neighborhood, with tons of commercial activity and residents of all ages and ethnicities. You can spend a sunny afternoon or fall evening relaxing in Fulton park, or take a stroll through the Bed-Stuy historic district, which comprises several blocks of beautiful old brownstone houses. The area has one of the largest amounts of original Victorian architecture in the country. With over 6,000 buildings built before 1913, it is a unique and historically close-knit neighborhood in the heart of Brooklyn, with some inimitable tree-lined streets, and abundant architectural and economic history. Originally known as Brooklyn Village, Brooklyn Heights was New York City’s first suburb. It stretches from the Brooklyn Bridge, south to Atlantic Avenue and from the East River east to Court Street and Cadman Plaza. The Promenade, is a favorite spot among locals, offering magnificent vistas of the Statue of Liberty, the Manhattan skyline across the East River, as well as views of the Brooklyn Bridge, Manhattan Bridge, and spectacular fireworks displays over the East River. It is a popular tourist destination, a fine termination point, with its stunning views, after a breath-taking walk over the Brooklyn Bridge. The neighborhood is largely composed of picturesque townhouses and a few mansions. A great range of architectural styles is represented, including a few Federal-style houses from the early 19th century in the northern part of the neighborhood, brick Greek Revival and Gothic Revival houses, and Italianate brownstones. A number of houses, particularly along Pierrepont Street and Pierrepont Place are authentic mansions. Situated so close to Manhattan, Brooklyn Heights is serviced by numerous subway services, specifically the A, C, F, R, 2, 3, 4, and 5. In fact, Brooklyn Heights, along with the adjacent Downtown Brooklyn area, are served by more subway lines than just about any other area in New York City. Some call Bushwick, located in the northern part of Brooklyn, the new Williamsburg. And certainly all kinds of creative types, as well as plenty of bars and galleries, have been moving into Bushwick in recent years. 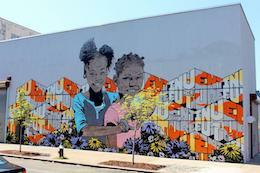 But there has been a flourishing artist community in Bushwick for decades, dozens of art studios and galleries are scattered throughout the neighborhood. There are several open studios programs that help the public visit artist studios and galleries and a number of websites dedicated to promoting neighborhood art and events. Bushwick artists display their works in galleries and private spaces throughout the neighborhood. 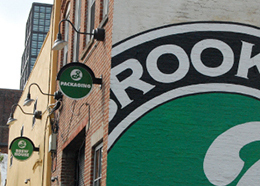 Bushwick is located about 35 minutes by subway from downtown Brooklyn and the school. A long-standing Italian-American neighborhood of family-run stores, Carroll Gardens is now sprinkled with cafes, boutiques and antique shops. Boerum Hill is noted for its creative population, proximity to all transportation, abundant cultural offerings (including Roulette, Issue Project Room, and BAM), the thriving Smith Street restaurant row and Atlantic Avenue Design district. 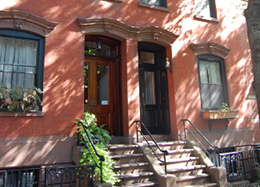 Cobble Hill sits adjacent to Boerum Hill and Brooklyn Heights with Carroll Gardens to the south. The Cobble Hill Historic District covers the majority of the neighborhood, and includes the award-winning Cobble Hill Park. Clinton Hill was a prosperous neighborhood all the way back to the 1840s, when the wealthy of Brooklyn could commute to Manhattan by way of stagecoach to the Fulton ferry. And it remains so today. 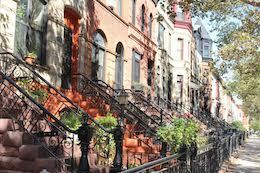 It is bordered by Crown Heights, Bedford-Stuyvesant, Prospect Heights, Williamsburg and Fort Greene. It is also home to the world famous Pratt Institute, the prestigious Arts College, which is known for having some of the highest ranking programs in Architecture, Interior Design and Industrial Design. 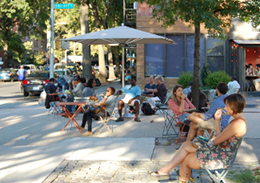 Like many Brooklyn neighborhoods, it also has a diverse range of people, restaurants and activities, and has a reputation as a cool laid-back neighborhood. And another plus is that it is also very accessible, with good connections to Manhattan, making it a sought-after location. Crown Heights began life as a posh residential neighborhood for Manhattan’s growing bourgeois class, and before World War 2, it was regarded as one of New York City’s premier neighborhoods, with tree-lined streets, and an array of cultural institutions and parks. But the population changes that began in the 1920s also brought a wider diversity of population which brought a strain on race relations during the 60s and 70s, and into the 90s. But through the 1990s, this decreased and was replaced by urban renewal and gentrification. The area is now almost unrecognizable from 20 years ago, Franklin avenue is the new thriving centre of Crown Heights, with new cafes, restaurants and bars appearing all the time. The neighborhood also hosts one of the largest street fairs in New York City, the annual Labor Day Carnival. Ditmas Park is a neighborhood in western Flatbush in Brooklyn, and has been officially designated a Historic District. 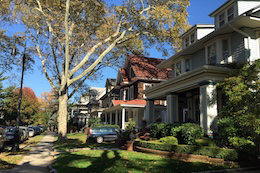 The neighborhood consists of many large, free-standing Victorian homes built in the first decade of the 1900s. Much of Ditmas Park is residential, and the main commercial area is Cortelyou Road (just a few minutes’ walk from the house), which enjoys a number of delis, bars, coffee shops, restaurants, the Flatbush Food Co-op, and more upscale restaurants. 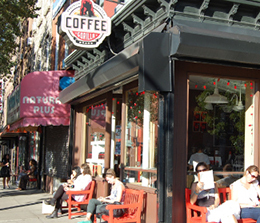 Cortelyou is also home to many venues, which attracts many local musicians and well-known artists. The neighborhood is well served by the Q train (one of the best and most reliable subway lines in New York) and the B train. 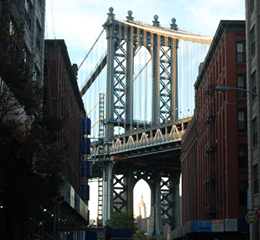 Dumbo is an acronym for ‘Down Under the Manhattan Bridge Overpass’ and located between the Manhattan and Brooklyn Bridges, which connect Brooklyn to Manhattan across the East River. It continues east from the Manhattan Bridge to the Vinegar Hill area. The area has emerged as one of New York City’s premier arts districts, with a cluster of for-profit art galleries such as the Klompching Gallery. Chef Jacques Torres opened a chocolate factory in Dumbo in December 2000. Other culinary businesses in the area include the famous pizza restaurant, Grimaldi’s, the Brooklyn Ice Cream Factory, and The River Café. The area also includes the newly-completed Brooklyn Bridge Park, which offers great views of Manhattan just over the water. In the early 20th century Fort Greene became a significant cultural destination. After the original Brooklyn Academy of Music in Brooklyn Heights burned down in 1903, the current one was built in Fort Greene, and opened in 1908. At the time, the BAM was the most complexly designed cultural center in Greater New York since the construction of Madison Square Garden 15 years earlier. The neighborhood is also home to the Brooklyn Music School, The Paul Robeson Theater, The Museum of Contemporary African Diasporan Arts, BRIC Arts|Media|Bklyn, UrbanGlass, 651 Arts performing center for African-American presenters, The Irondale Center for Theater, Education and Outreach, and the Mark Morris Dance Center. Spike Lee established his 40 Acres & A Mule Film works company in Fort Greene in the mid-1980s, further strengthening the resurgence of the neighborhood. The Fort Greene Historic District was listed on the National Register of Historic Places in 1983 and expanded in 1984. The northernmost neighborhood in Brooklyn, it was originally farmland. The neighborhood is sometimes referred to as Little Poland due to its large population of working-class Polish Immigrants. It has benefited in recent years from the huge growth in popularity of its neighbor, Williamsburg, with services such as bars, restaurants and shops coming to the area. There is a real communal vibe here that makes it well worth a visit, and the view of the Manhattan skyline across the river is great to see too. It is also where the popular HBO series Girls is set and filmed. During the American Revolutionary War on August 27, 1776, the Park Slope area served as the backdrop for the beginning of the Battle of Long Island, also called the Battle of Brooklyn. By the late 1870s, with horse-drawn rail cars running to the park and the ferry, bringing many rich New Yorkers in the process, the urban sprawl dramatically changed the neighborhood into a streetcar suburb. Many of the large Victorian mansions on Prospect Park West, known as the Gold Coast, were built in the 1880s and 1890s to take advantage of the beautiful park views. Today, many of these buildings are preserved within the 24-block Park Slope Historic District, one of New York’s largest landmarked neighborhoods. By 1883, with the opening of the Brooklyn Bridge, Park Slope continued to boom and subsequent brick and brownstone structures pushed the neighborhood’s borders farther. The 1890 census showed Park Slope to be the richest community in the United States. Park Slope is awash with historic buildings, top-rated restaurants, bars, and shops, as well as being close to Prospect Park, the Brooklyn Academy of Music, the Brooklyn Botanic Garden, the Brooklyn Museum, and the Brooklyn Conservatory of Music. The neighborhood is still considered one of New York City’s most desirable places to live. In 2010, it was ranked number 1 in New York by New York Magazine citing the quality of its public schools, dining, nightlife, shopping, access to public transport, green spaces, good housing and safety, among other aspects. 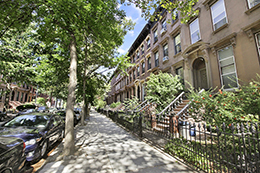 Compared to some other Brooklyn neighborhoods, Prospect Heights is relatively small and is notable for its cultural diversity as well as its tree-lined streets. It has seen rapid change over the past decade or so, and is a real ‘up and coming’ area. Vanderbilt Avenue is the centre of the action, with numerous shops, bars and restaurants, but Washington Avenue, which runs parallel to Vanderbilt, is also becoming popular. And it is also home to the Brooklyn Museum, the Botanical Gardens and the Brooklyn Public Library, with its famous bronze gateway-style entrance. Because of the area’s density of Italianate and Neo-Grec row houses, much of the neighborhood has been designated a New York City historic district. It is in an ideal location, between other great neighborhoods such as Park Slope and Fort Greene, and also walking distance to Prospect Park. 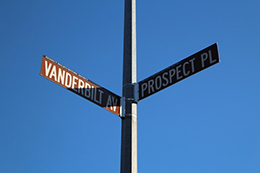 Prospect Lefferts Gardens is a combination of the names of three nearby locations: Prospect Park, Lefferts Manor and Brooklyn Botanic Garden. 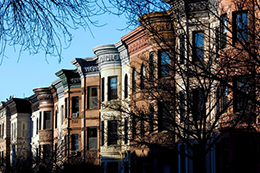 It was designated a NYC Landmark area in 1979 and called Prospect Lefferts Gardens Historic District. 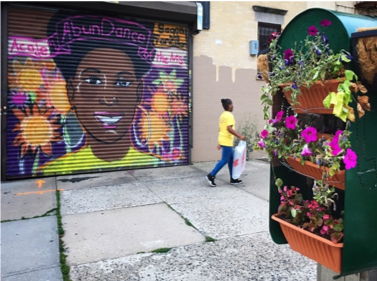 It is a small and quiet neighborhood of just under 100,000 inhabitants located to the East of Prospect Park, and within walking distance of the Brooklyn Botanic Garde and the Brooklyn Museum. It is an ethnically diverse neighborhood and mixes easy accessibility with down to earth amiability. The best part of being in Lefferts Gardens is undoubtedly its proximity to beautiful Prospect Park, which is a lovely heaven of Brooklyn at any time of the year. You will enjoy it taking a walk in the Spring, lazing there on a hot Summers day, seeing the amazing Fall colors and tramping through it in the snowy winter. Many New Yorkers don’t even know this place exists. Hidden away, just south of Prospect Park, it is composed of several streets of beautiful detached houses, all with gardens, many dating from the turn of the last century. Within the neighborhood and comprising most of its area, is the Prospect Park South Historic District. It was originally developed in 1899 and was known as ‘rus in urbe’, ‘the country in the city’. The location was selected to take advantage of the train service on the Brooklyn and Brighton Beach Railroad. 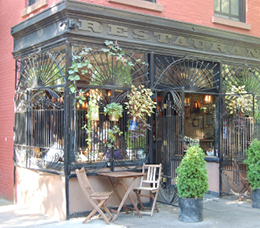 The area also benefits from being located within walking distance of beautiful Prospect Park. Red Hook was settled by Dutch colonists from New Amsterdam (later New York) in 1636. They named it Roode Hoek which in Dutch means ‘point’ or ‘corner’. It is the only neighborhood in the whole of New York City that has a full frontal view of the Statue of Liberty. Although it is not close to a subway, there is a good bus service to downtown Brooklyn, where you can connect with a variety of subways. Red Hook was badly hit by Hurricane Sandy, but it has recovered well, and there is a good range of shops, restaurants and bars populating the main strip down Van Brunt. It also has a burgeoning reputation as a place for artists. In 1898 Brooklyn itself became one of five boroughs within the City of Greater New York, and its Williamsburg neighborhood was opened to closer connections with the rest of the new city. Just five years later, the opening of the Williamsburg Bridge in 1903 marked the real turning point in the area’s history. The community was then opened up to thousands of upwardly mobile immigrants and second-generation Americans fleeing the overcrowded slum tenements of Manhattan’s Lower East Side. Williamsburg itself soon became the most densely populated neighborhood in New York City, which in turn was the most densely populated city in the United States. The novel A Tree Grows in Brooklyn addresses a young girl growing up in the tenements of Williamsburg during this era. The first artists moved to Williamsburg in the 1970s, drawn by the low rents, large spaces available and convenient transportation, one subway stop from Manhattan. This continued through the 1980s and increased significantly in the 1990s as earlier destinations such as Soho and the East Village became gentrified. In recent years, Williamsburg has become a mecca for the younger hipster crowd and this is typified by a large number of bars, restaurants, shops and cafes on every corner. It has also become a destination of choice in the evenings and at weekends for crowds of Manhattanites. It is also a home for live music and new bands. There are now two open air parks beside the East river which host concerts throughout the summer months. And in summer 2012 after decades of closure, the McCarren Park open-air pool re-opened its doors to the public as a free outdoor pool in the summer, and doubling as an ice-rink in the winter months. Currently regarded by many as one of the “cool areas” to live, work and play, in the city, Williamsburg typifies where Brooklyn is right now.